If you are a horse lover, this ebook is for you! 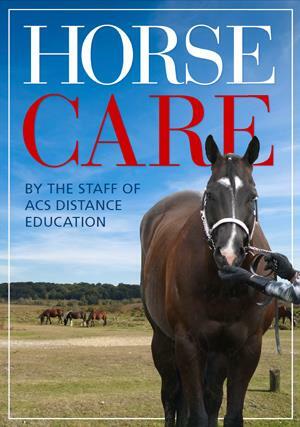 Gain effective knowledge on caring for horses. The Horse Care ebook is an ideal introduction for anybody who needs the foundations of providing effective care for horses. This ebook covers different breeds, horse anatomy & physiology, proper feeding, horse handling, horse health care, shoeing, equipment, the horse industry and the different care needed for a horse in a stable or at grass. This book is an accumulation of information from biology, agricultural science and veterinary medicine. It looks to explore and explain the fundamentals of appropriate horse care aims and techniques and in doing so it will consider horsemanship as a combination of art and science. Working with horses is primarily about giving and receiving respect; often followed by the beginning of an ever-lasting bond. Undoubtedly, working with horses in such a way to develop positive and lasting relationships does not come easily and you must pay special attention to understanding horses as kind animals with much to give. They often have a willingness to please and have a special place in the hearts of their owners.